The Most Trusted & Recognized Brand World Wide For 112 Years and Counting! I am proud to be a Coldwell Banker Residential Brokerage Sales Associate & Sedona Realtor® working for the world’s most recognized brand. Our agents work together to ensure a win-win scenario for our buyers and sellers. As a result, agents who are more assertive, confident, and experienced are attracted to our company. Coldwell Banker Sales Associates see the business as their business and, with ownership, comes the need to grow through satisfied clients who come back and send referral clients. Of course, they realize that the company is here to support them a variety of ways and the Coldwell Banker Residential Brokerage network is geared to make agents successful. Why Choose Coldwell Banker? …. Coldwell Banker Residential Brokerage gives me, the REALTOR®, the autonomy to run my business the way I see fit. “Our sales associates gain unequaled business development opportunities, the use of leading technology, extensive real estate services and an extremely powerful regional and international marketing platform. These advantages will enable them to better serve our valued customers, and remain Sedona’s top-selling brokerage…”. 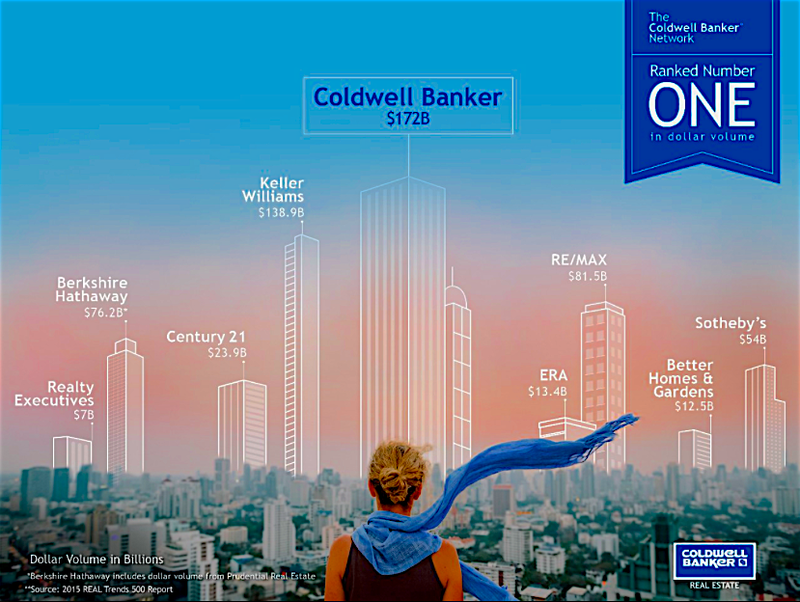 The scale of national Coldwell Banker advertising — TV, radio, print, outdoor and online — creates top-of-mind awareness among millions of consumers and helps Coldwell Banker Residential Brokerage sales associates gain listings and sell homes. There is exciting news on the horizon for our Coldwell Banker Global Luxury. Not only is it continuing to grow and expand, it is now located in over 47 countries with over 84,790+ agents. 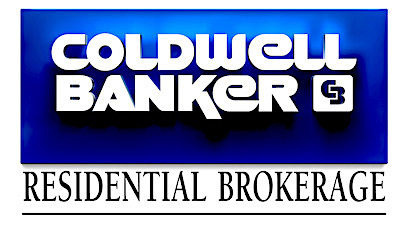 Our Luxury and Global brand “Previews”has changed to Coldwell Banker Global Luxury. We are exited about this amazing change. The new website is available at ColdwellBankerLuxury.com. I hope you will visit the website to learn more about our Improved branding and new direction. Whether you’re selling your Sedona home to move to North Carolina or to New Zealand, I am there to help you. If you are moving to the Sedona area, or have a property to sell, you have visited the right website! 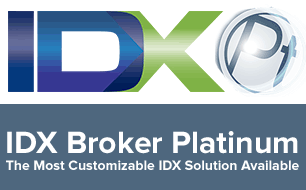 My website utilizes IDX Platinum Broker, the premier tool for up-to-date information on all properties available. 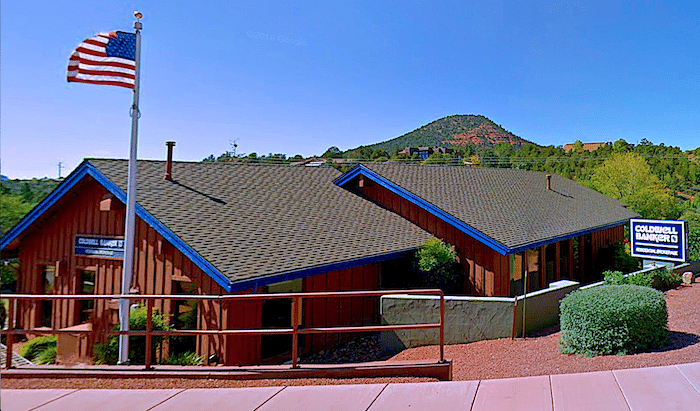 There is no better source to gather information on Sedona/Verde Valley real estate. IDX Broker Platinum pulls the same information from the MLS (Multiple Listing Service) that is accessible only by a licensed Realtor®. It is designed to give you the information in an easy to read format. You will not find a more comprehensive search engine available. The pictures are formatted so that you get the largest images obtainable*. My website and IDX is set up for the most current mobile technology available. It is easier for you to check for homes where ever and when ever you want. You can also save your search criteria and your favorite properties. All new listings can be sent to you as they become available. In today’s changing world, people think technology, the Internet, and the world, to find solutions to their needs. 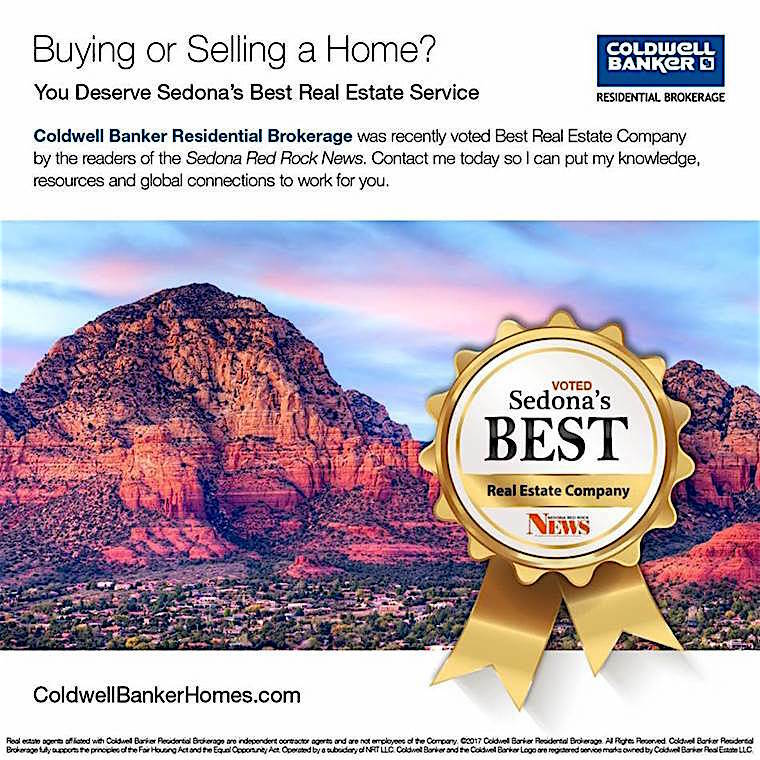 At Coldwell Banker Residential, we have the resources to simplify everyone’s real estate search, from our local Sedona/Verde Valley area to our worldwide network. When it comes to buying or selling Sedona area real estate, call Sheri Sperry at 928.274.7355. 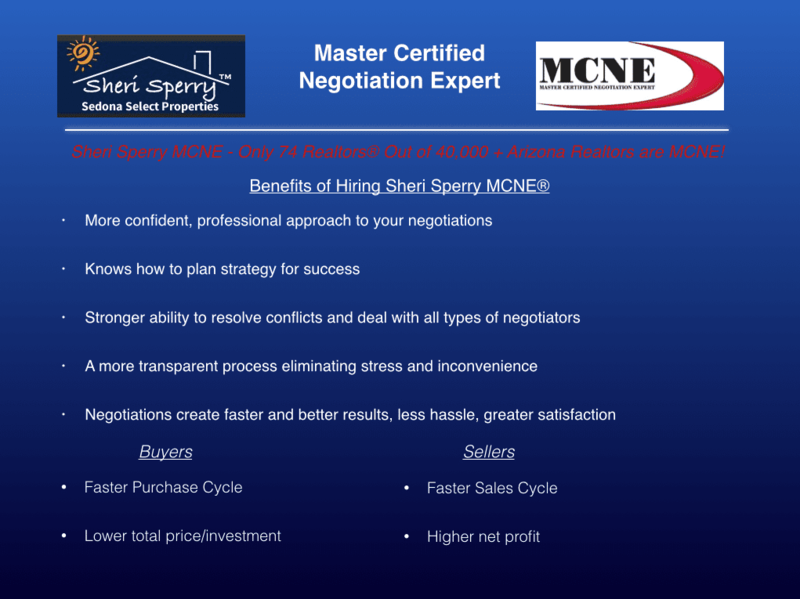 I am a Master Certified Negotiation Expert who has 40 + years of real estate and sales background. You will see from your initial call, that I will provide you with a common sense approach to real estate solutions. At the same time providing you with a world class service experience. 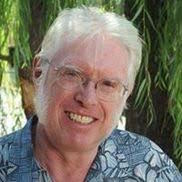 learn more about me at Sedona-Lifestyle.com . Excerpts are taken from PR Newswire Press Release and Coldwell Banker Corporate website. *Image size and quality are determined by what the List Agent inputs into the MLS.